Perfect time of year for Zion National Park! Our first rally of the season will held in beautiful Virgin, Utah at the Zion River Resort. Check-in on Thursday, April 25th and check-out on Sunday, April 28. Modest rally fee TBA. We have 25 sites – please book your site ASAP as any sites not reserved by March 21, 2019 will be released. A deposit will be required. Assuming we get a group of at least 8 campers (which we should), we’ll get a 15% group discount. 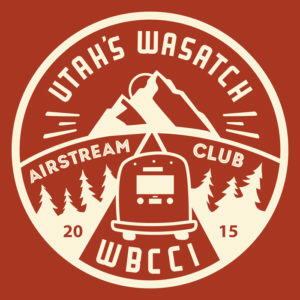 To make reservations, call (435) 635-8594 and tell them you are with Utah’s Wasatch Airstream Club. Our group confirmation number is PXX113008893. Our “Wagon Master” is Jim Powell. Average temperatures are mid-70’s to low-80’s with cooler nights. We plan to have casual happy hours nightly, one potluck dinner (tent. Friday), and one hot breakfast (tent. Sunday.) Hikes in the park are spectacular so boots, packs and water containers are a must. Springdale is lovely, small town that has shopping, eateries and a nice tourist “vibe” so bring walking shoes and a sense of adventure. Bring bikes if you want to bike in the park or Springdale. There is also abundant golfing in St. George ~40 miles (1 hour) away. How you can help: if you have a shade canopy and space, please bring it. There is an open space “park” in the resort by the Virgin River that we intend to use for gatherings. Also, if you have an extra-long extension cord, please bring it along. We may want a power source in the park to keep food warm. Rally fee will be $10 per person; children 12 and under are free. See the Registrations tab for on-line registration. Moab! Arrive Thursday, May 9 and depart Sunday, May 12. We’ve reserved 19 sites at the park – ten 30 amp, nine 30/50 amp. The rate for all pull-through, full hook-up sites is $184.62 and includes a 10% group discount. Make your own reservation by calling 877-418-8535, then press 2. Ask for Stephanie and let her know you’re with the Airstream group. You can also email her at sirish@suncommunities.com. Any remaining sites will be released on April 1… no joke. Cancellations must be made by May 6 for a full refund. Saturday night will be a catered dinner (at the campground) from Blu Pig BBQ – one of the Ruskauff’s favorite Moab joints! The evening’s menu includes smoked turkey breast, pulled pork, beef brisket, baked beans, au gratin potatoes, cole slaw and cornbread. $25 per person. After you’ve made your camping reservation, please submit your registration form and fees ASAP – deadline is April 15. Rally fee is $15 per person, kids 16 and under free. Registration limited to WBCCI members only. More rally details are listed on the form. Special thanks to the rally co-hosts: John and Bonnie Ruskauff, and Chad and Julie Hickenlooper. Linda and Ron Seitz will be cohosting a rally in Steamboat Springs (KOA) Colorado again next year Thursday July 11th through Sunday July 14th, 2019. 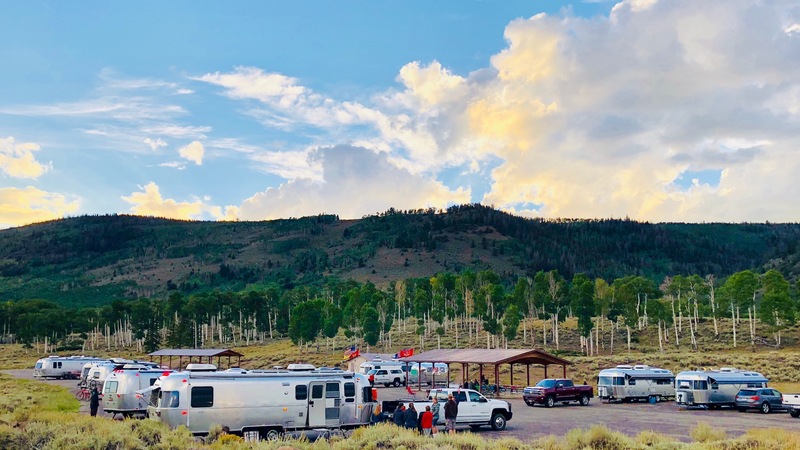 We held a similar rally with our friends from the Colorado Airstream Club (Benita and John Chapell) in 2016 and it was a huge success with everyone that attended from both UWAC and CAC. In addition to the regular scheduled rally we will be trying something new by offering a pre-rally event, Monday July 8th thru Wednesday July 10th, 2019. The pre-rally is geared towards “Quilters/Sewists/Hobbyists and will be located adjacent to the beautiful Yampa River (can you say fly fishing?) All crafters are welcome as well as anyone who just wants to come early to hang out. The pre-rally portion will be very informal so that participants can enjoy doing what they love to do and share with others in a beautiful setting. Come and experience the beauty, fun and exciting activities that abound in this area from great hiking, Strawberry Park Hot Springs, a gondola ride up Werner Mountain, fly fishing/rafting/lunch on the Yampa River. That’s in addition to all the activities that we have planned for the rally i.e., games, games, games, happy hours and more! Discussions continue about additional 2019 rallies and events. We’re always looking for specific rally suggestions and volunteers. Final announcements on any additional 2019 events will be forthcoming as planned. We look forward to a fun agenda of events this year!! We still have openings for rallies in June and August, so if you have ideas or are willing to host / co-host a rally, please contact Julie Schofield.